The Mountain Hardwear Quasar Lite™ Pants are a fully waterproof and extremely breathable alpine pant ideal for rougher and tougher mountain conditions. The Mountain Hardwear Quasar Lite™ Pants use a Dry·Q® Elite 2.5-Layer, which, unlike traditional waterproof-breathable fabrics, starts breathing the second you put it on, rather than only triggering under high exertion. 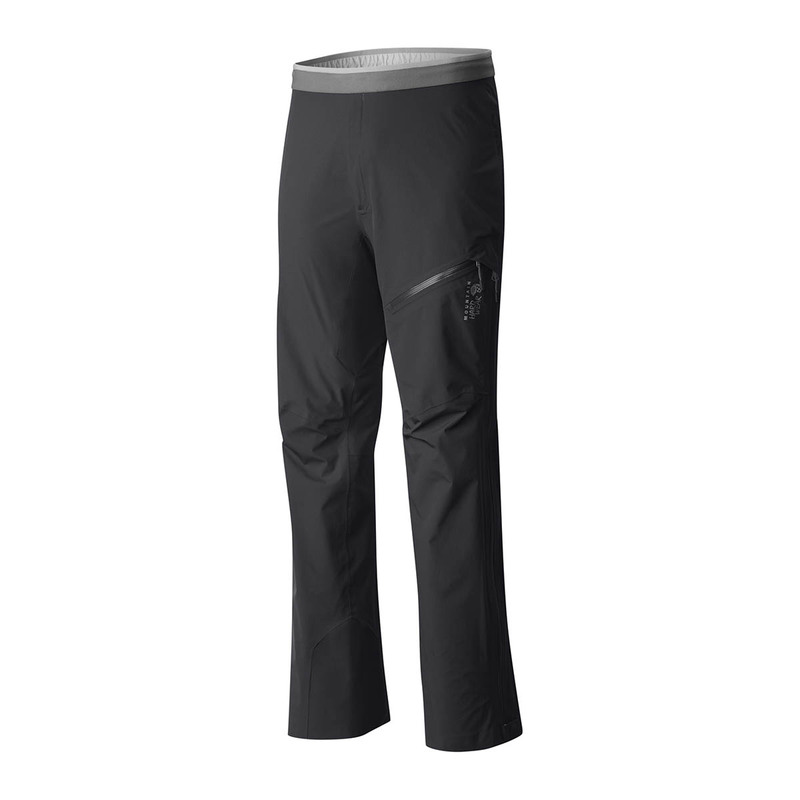 Articulated gusset, waist adjustability, and adjustable hem with boot loops provides a completely secure fit.